Angela Cooper arrived home from work to discover her daughter’s temperature had spiked to 102 degrees — a sign that the teenager, who has cancer, had a potentially deadly bloodstream infection. As Cooper rushed her daughter to the hospital, her mind raced: Had she done something to cause the infection? Cooper, who works at a Chevy dealership in Iowa, has no medical background. She is one of thousands of parents who perform a daunting medical task at home — caring for a child’s catheter, called a central line, that is inserted in the arm or torso to make it easier to draw blood or administer drugs. Central lines, standard for children with cancer, lead directly to a large vein near the heart. They allow patients with cancer and other conditions to leave the hospital and receive antibiotics, liquid nutrition or chemotherapy at home. But families must perform daily maintenance that, if done incorrectly, can lead to blood clots, infections and even death. But hospitals have not done enough to help these families, said Dr. Amy Billett, director of quality and safety at the cancer and blood disorders center at Dana-Farber Cancer Institute/Boston Children’s Hospital. “The patient safety movement has almost fully focused all of its energy and efforts on what happens in the hospital,” she said. That’s partly because the federal government does not require anyone to monitor infections patients get at home. Even at the well-resourced, Harvard-affiliated cancer center, parents told Billett in a survey that they did not get enough training and did not have full confidence in their ability to care for their child at home. The center was overwhelming parents by waiting until the last minute to inundate them with instructions — some of them contradictory — on what to do at home, Billett said. An external central line, which ends outside the body, must be cleaned every day. Caregivers have to scrub the hub at the end of the line for 15 seconds, then flush it with a syringe full of saline or anticoagulant. If caregivers don’t scrub properly, they can flush bacteria into the tube, and — whoosh — the bacteria enter a major vein close to the heart, Billett said. One father, noting that the hub looked dirty, scrubbed it with a pencil eraser, sending three types of bacteria into his child’s bloodstream, she said. 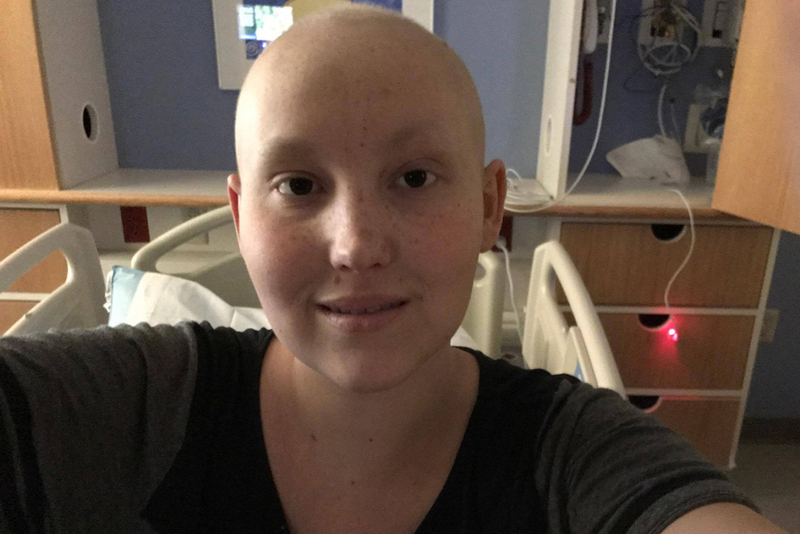 Learning the cleaning steps was “very nerve-wracking,” recalled Cooper, whose 18-year-old daughter, Jaycee Gray, has had a central line since April to receive treatment for anaplastic large-cell lymphoma, a rare type of blood cancer. “You can scrub and scrub and scrub, and it doesn’t feel like it’s clean enough,” she said. Parents must keep track of other rules, too, like covering up the central line before the child gets in the shower and changing the dressing if it gets dirty or wet. Bloodstream infections associated with central lines lead to thousands of deaths each year inside hospitals, costing billions of dollars, according to the Centers for Disease Control and Prevention. Research has also shown these infections are largely preventable: Hospitals have slashed infection rates when staff follow the CDC’s standardized safety steps. But researchers recently discovered that more kids with central lines are getting bloodstream infections at home. In a three-year study of children with cancer and blood disorders at 15 hospitals, 716 such infections took place outside the hospital, compared with 397 inpatient infections. This is partly because children with central lines spend much less time in hospitals than not. These hospitals belong to a national collaborative of 20 pediatric cancer centers, organized through the Children’s Hospital Association, that aims to keep kids out of the hospital by training families, visiting nurses and clinic staff on handling central lines. At one of the hospitals, Johns Hopkins in Baltimore, researchers discovered that patients as young as 8 were cleaning their own central lines at home, even though the hospital had designed its training materials for adults. When doctors confirmed that Jaycee had a bloodstream infection, Cooper asked them what caused it. Days later, after interviews and tests, no one knew for sure. Jaycee was transferred to Children’s Hospital & Medical Center in Omaha, Neb., one of the other hospitals in the collaborative, where nurse Amanda Willits works with families to identify the likely causes of infections and practice safe techniques. Willits said the bacteria probably came through the skin, but there’s no sign Cooper is to blame, and Cooper demonstrated her line-care technique perfectly. Jaycee spent four days in an isolated room at the hospital, two hours away from home. Doctors warned her that if the bacteria had colonized the plastic of her central line, she might have to go through surgery to have it removed and replaced. As it turned out, Jaycee didn’t need surgery; she recovered with antibiotics. But about four times out of 10, children who get these infections do need their lines surgically removed, according to research by pediatric oncologist Dr. Chris Wong Quiles at Dana-Farber/Boston Children’s. Looking at 61 patients there, Wong Quiles tackled basic questions that researchers don’t have national data on: When patients get these infections at home, what happens to them, what does it cost and how often do they die? Wong Quiles found that in 15 percent of cases, children ended up in the intensive care unit. Four children died. Their median hospital stay was six days, and their median age was 3. These episodes also cost a lot. Wong Quiles found that median hospital charges were $37,000 per infection. That’s not counting professional fees from hospital staff; the cost of going home with antibiotics and possibly nursing care; or the cost to families from losing days of work to be at the hospital with their kids. In Boston, Billett and Wong Quiles have enlisted extra staff and resources to try to help parents. The hospital hired a “checklist engineer” to clean up inconsistent messaging and created family-focused videos, flip charts and pocket-size brochures about handling central lines. Now, patients and families start learning central line care five to 10 days before discharge, instead of just one or two days, Billett said. Parents first practice on a dummy called Chester Chest, then demonstrate their skills on their child. Even after this training, bringing a child with cancer out of the hospital still felt scary, said Megan Kelley, whose 8-year-old daughter, Bridget, is being treated there for leukemia. “It felt like bringing a newborn baby home — we’ve never done this before,” said Kelley, who lives in Quincy, Mass., with her husband, Dan, and their three daughters. Bridget and her family have managed to avoid infection since she was first discharged last December. Along the way, the family got support and was spot-checked: The hospital keeps track of who was trained and that person’s skill level, and sends a nurse home to see how the caregiver handles the line. This approach to patient safety — helping families at home through standardized learning tools, hands-on training and tracking skill development — could have broad applications for caregivers of patients young and old, Billett said. Some early work at Johns Hopkins has shown success: The hospital found a dramatic reduction in outpatient bloodstream infection rates after it trained families, home health nurses and clinic staff. Melissa Bailey is a correspondent, Kaiser Health News, where this article originally appeared. Next post > Want to fix America’s health care? We need to focus on food.